The 12x optical camera delivers sharp, smooth and stable video at a significant distance. 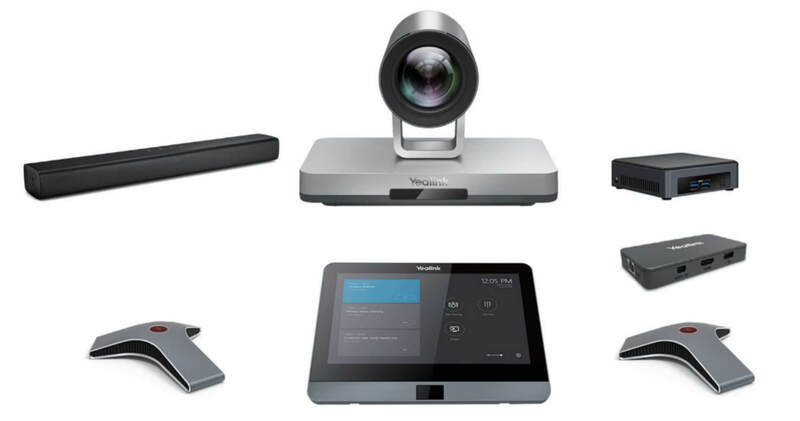 Thanks to its wide-angle horizontal field-of-view lens and adjustable camera angle, the MVC800 provides a broad view of large conference rooms. The MVC800 offers instant wireless content sharing without clutter. The powerful screen share adapter MShare integrates HDMI and mini-DP input ports and eliminates the need for additional adapters for Mac or Surface products. Support built-in wireless of dedicated network. Just plug-and-play and start sharing content with a single click. The ability to connect up to four wired beam-forming array microphones combined with 20 feet and 360-degree voice pickup technology. Yealink video devices for Microsoft come embedded with the Teams/SfB application for a consistent user interface that incorporates the calling and meeting features of Teams/SfB.